- 3.1 Murdered Israeli Teens: A Cabalistic Conspiracy? How did this all begin? [jump to 28m44s]| What is Israel – Palestine about? | Who did really initiate the violence? | How did the US get such a uniquely special relationship with a tiny country without resources? However more and more people in the whole word start to see beyond the oppressor’s fairy tales, and if anyone has still doubts, then why not ask the Palestinians themselves! Blaming Hamas rockets for instigating the Israeli attacks ignores what preceded those rocket launchings. The Times of Israel reported that Hamas had fired missiles on June 30, for the first time since the November 2012 cease-fire, “in revenge for an Israeli airstrike several hours earlier.” Earlier rocket fire came from other groups in Gaza which, the article notes, Hamas had tried to stop. Why is it believed that the 2014 Gaza war was triggered by the kidnapping of the three Israeli teenagers? Do we have selective memories; memories that some might call convenient cherry-picking? Indeed nearly 18 months of relative calm had passed. WHAT REALLY broke that trend? Did the kidnappings of those 3 youths happen out of the blue? I suggest not. In fact it started on 15 May with the killing of 2 Palestinian teenagers (yes, also teenagers) at the Nakba commemoration. A few days layer video evidence showed (one of) them to be walking, unarmed, away from the demonstration. Did the Palestinians start a rampage of "self defence"-justified attacks on Israel, similar to what happened with the 3 Israeli lads? No., they didn't. There were doubts as to how they had been killed. But then on 9 June the results of an autopsy were made public. One had been shot in the back with "live fire". Not quite 2 days later the 3 Israeli teenagers were abducted and killed. Are these events all unrelated? Really? I suggest not, and therefore 15 May is my trigger date for the conflict, and it was started by Israel. So I on't buy the self-defence story. …The official story of the kidnapping is riddled with holes. The criminals’ car had Jewish license plates, the killers spoke Hebrew, and the police had no valid excuse for writing off the emergency call from one of the victims as a prank and then doing nothing for five hours. A few minutes after boarding the car, Gilad Shaar from Talmon called the Israeli Police emergency number. In this case, the call reached the Judea and Samaria District of the Police shown in the picture above. It means that they board the car willingly without having any suspicions on the driver. The driver made an unexpected U-turn, and Gilad got suspicious. Hiding his movements, he dialed 100. After the call was answered, he whispered "I had been kidnapped." The Hebrew is short ("hatfu oti"), thus this could not be stopped. Even at the early stage of the event, the Israeli government claims were not credible and dismissed by Hebrew media mainly because PM Netanyahu blamed the Palestinian Authority and its President Mahmoud Abbas while the event took place in an area under complete control of the IDF. Moreover, the kidnapped were hitchhiking* despite this being forbidden in the area. Is Abbas to blame also for this? "This event shows that the joining of Abu Mazen to Hamas [The new Palestinian Unity Government] has only one meaning, a meaning of terror. With the Palestinian Authority and the Hamas we will speak as one, not with good intentions, but through the crosshairs of a gun." After the creation of the new Palestinian Government, it was wildly attacked by Israel. The latter's government announced a "Smash and Grab Palestine" Policy. Days after three Jewish students were kidnapped in an area entirely controlled by the IDF. One of them is American, ensuring international attention to the event. Even before the bodies were found, Israel was fast to accuse and attack. If my suspicion is true, then they will appear dead, in order to avoid their describing the kidnapping event. Member of the Knesset Yogev, are you aware that many are wondering now if this is an Israeli false flag operation? Is Israel planning to disband the Palestinian Authority and needs an excuse? Why Should Hamas Have Done Such A Stupid And Reckless Act? They want to carry out their atrocities in a way we’re not noticing them. The best example of this was on nov 4, 2008, when we were all watching Barak Obama win the presidency, Israel chose THAT DAY to break a 6 month cease fire with Hamas, fly into Gaza, bomb them and kill 6 top Hamas officials. Israel broke the cease fire. The next day Hamas comes out and say: "Well we guess the cease fire is over!" And then Israel and the Western Media are saying: "Aha, Hamas says the cease fire is over" and Israel launched operation Cast Lead. That’s how the Zionists go about doing it! All the horrible things happening now [≈ 2014-07-02] to Hamas, in the wake of these three kidnappings and deaths of these three teenagers. Donations have dried up, public support .... enemies abroad, massive Israeli crackdown. Those are the very reasons Hamas didn’t do this! Hamas had no reason to do this but "Israel" had. And remember "Israel" has this long history of false flag attacks (FFOPs), having other people hating it's enemies and fighting ...? The two best known instances .... cont..
• Another incidence, the two dancing Israelies on 9/11. That’s what "Israel" does, go out commit an atrocity and blame it on somebody else for. both done by "Israel" but initially blamed on Egypt. From their names and accompanying pictures, all the commenters are women. They shop in the stores near your homes, they go to the same movies and vacation spots as you. They’re Israeli. No one would think of firing them from their jobs, like they are doing now to Arabs and left-wingers. No one will condemn them, no one will attack or threaten them. They’re normal, according to the Israeli norms at least, where compassion for the other side is considered treason, and beastly criticism is considered patriotism. Israeli soldiers are fighting and dying in Gaza now, and the people’s heart is full of worry and fear for them. Nothing is more understood, human or natural. The rockets also continue to fall. But aside from those fears, there exists a complete lack of compassion for the victims on the other side, even for those children, dying in gruesome numbers, which will go down as a new record of shame, even in the Israeli record book. 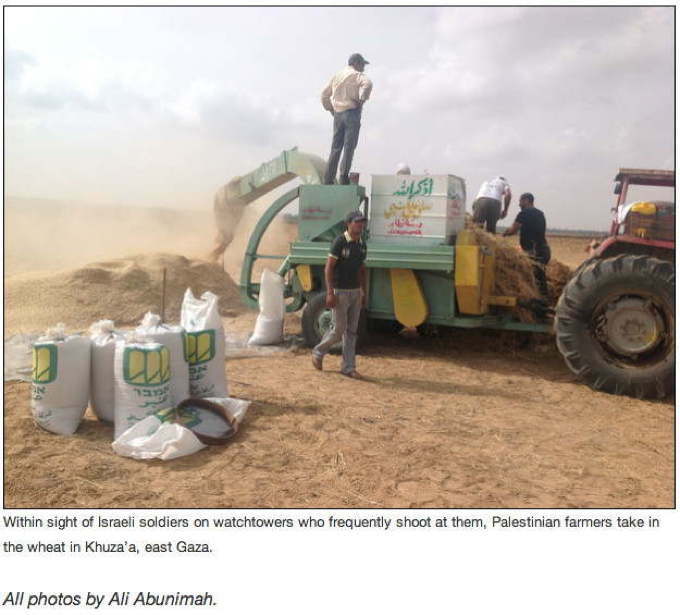 This conflict began not because Hamas attacked Israel, but rather this was yet another orchestrated Israeli attack on the civilians of Gaza – they call it ‘mowing the lawn’. And it was launched using a false flag operation – the murder of three Israeli teenagers – and everyone is saying and has admitted that it was not Hamas or the Palestinians who murdered the three Israeli teenagers. The three Israeli teenagers were killed by people involved with the Israeli government to provide a pretext to mobilize public opinion to attack Gaza. And this happens virtually every time Israel launches an attack on the Palestinians: there is a very convenient, quote, “terrorist attack” mobilizes public opinion in order to authorize and get the Israeli people behind their attacks on the civilians of Gaza. They mowed down children playing soccer on a beach, they targeted ambulances, hospitals, refugee centers… this was international targeting of civilians… Even john Kerry laughed about their so-called surgical strikes, even John Kerry… No other country intentionally targets civilians the way Israel does. Israel has a national policy of shooting Palestinian children for sport – their snipers are routinely authorized to shoot Palestinian children for sport. I don't think you get it. This isn't a conventional war between roughly equal armies of opposing states, so analogies to world wars simply don't apply. This is the last European colonial war against an occupied indigenous population, but unlike the colonial war waged by European settlers in a sparsely inhabited North America the native population in Palestine and throughout the Middle East dwarfs the colonizers. Demography is history in this case, and ultimately there can be only one outcome: the defeat of the colonizers. This war will last just as long as outside imperial powers - mainly the United States - support the colonizers and fuel the conflict. As US power weakens in the Middle East and throughout the world so too does the power of the Zionist colonizers. "The losers do best by accepting defeat and the land offered as consolation". This applies to the Zionists, who cannot win this conflict and must, in the end, accept defeat and make the best settlement they can manage with the Palestinians and Arabs who will prevail. The alternative is too horrible to contemplate.